hmmm pie… I don’t know one person that dislikes pie. It’s soft, sweet, yummy and better than cake! 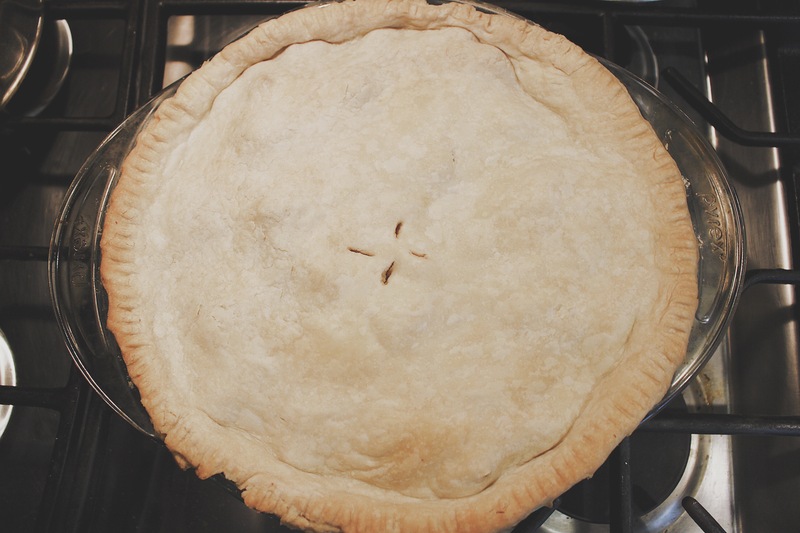 I’m a traditional kinda gal, meaning my favorite pie is an apple pie. 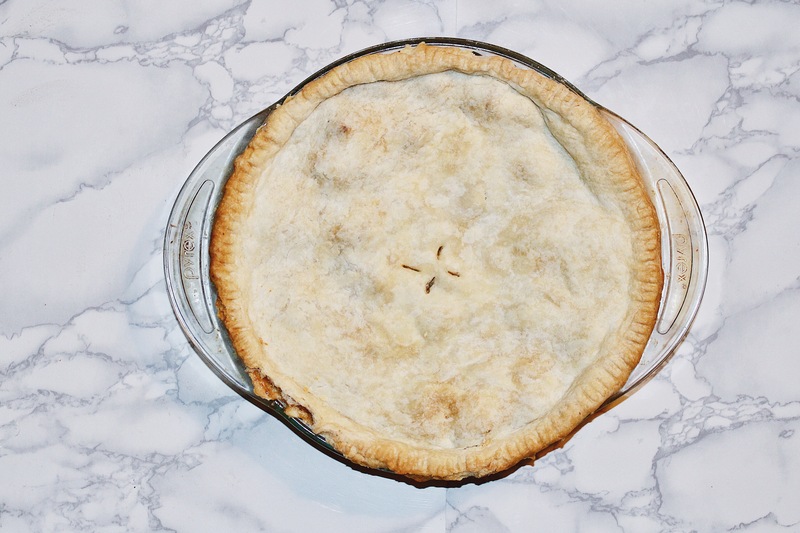 I love apples, especially during the Fall season, so of course I had to post an Apple Pie Recipe this month! My dad and I love to bake together. 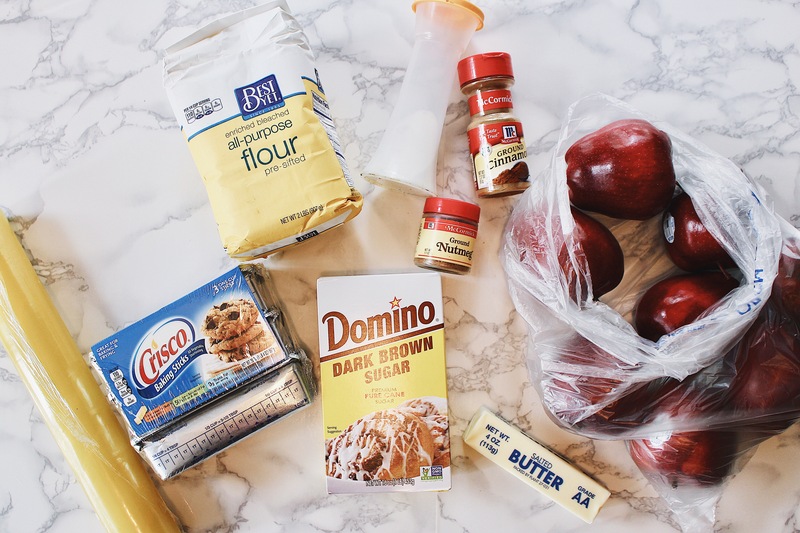 When we found this homemade Apple Pie Recipe, we jumped with excitement and couldn’t wait to try it! 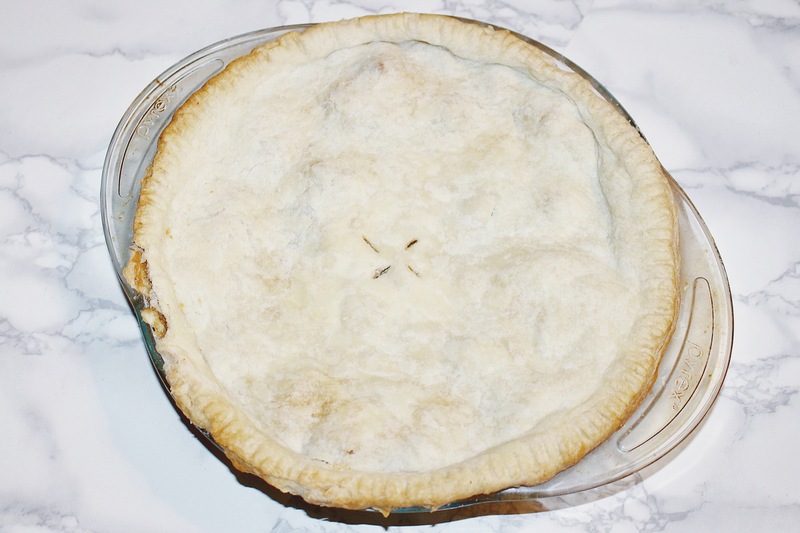 In this post, I’m going to be sharing my homemade Apple Pie Recipe! 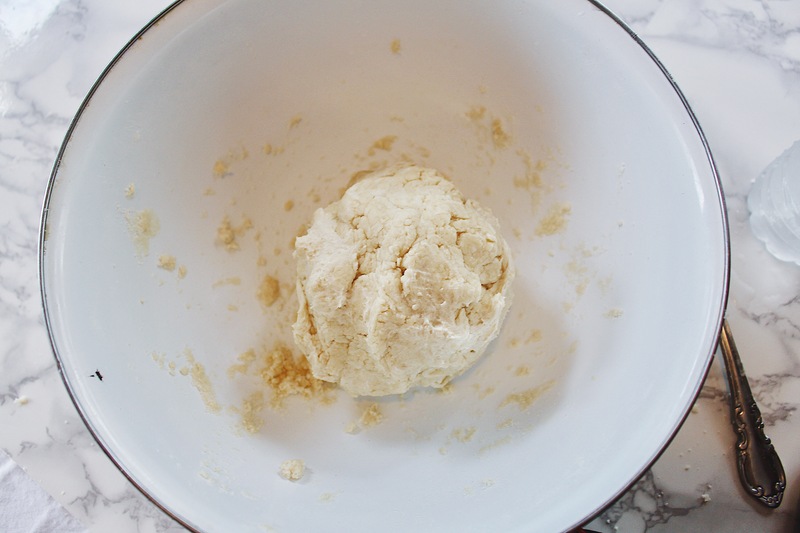 Add 2¼ cups all-purpose flour, ¾ teaspoon salt, ½ cup shortening and 2 tablespoons butter to your mixing bowl. 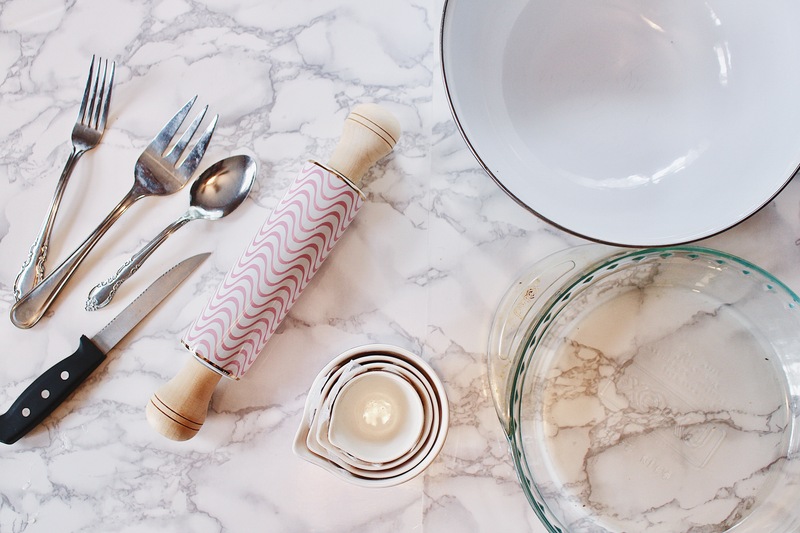 Take your pastry mixer or serving fork and begin mixing (pressing down with fork) the ingredients together until they form in to pea sized circles, making sure the butter and shortening is evenly distributed. 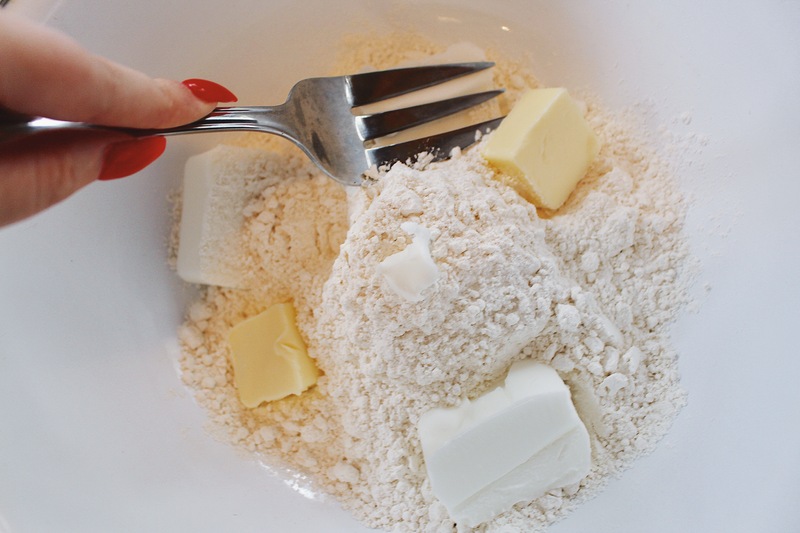 Add in your water, one tablespoon (add 7-8 tablespoons of water, if more needed do not exceed 10 tablespoons) at a time and use a fork to flip mixture to spread the water. 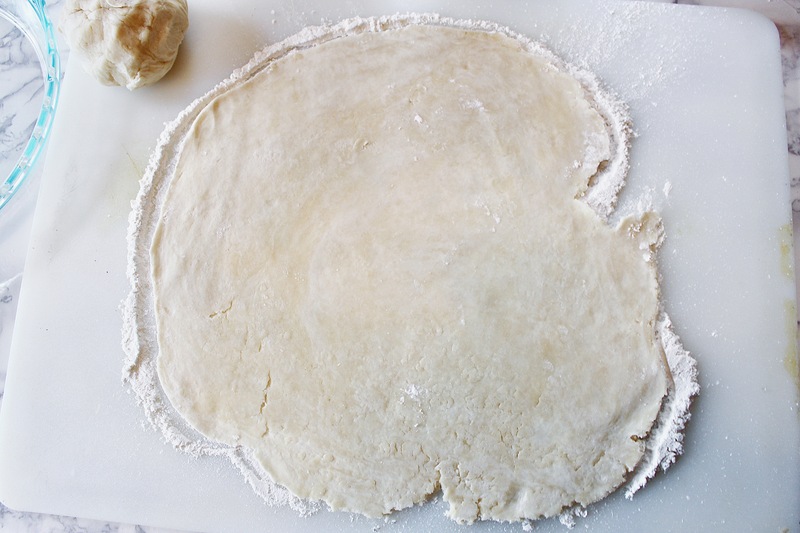 Do this until you’re able to form the dough into a ball. 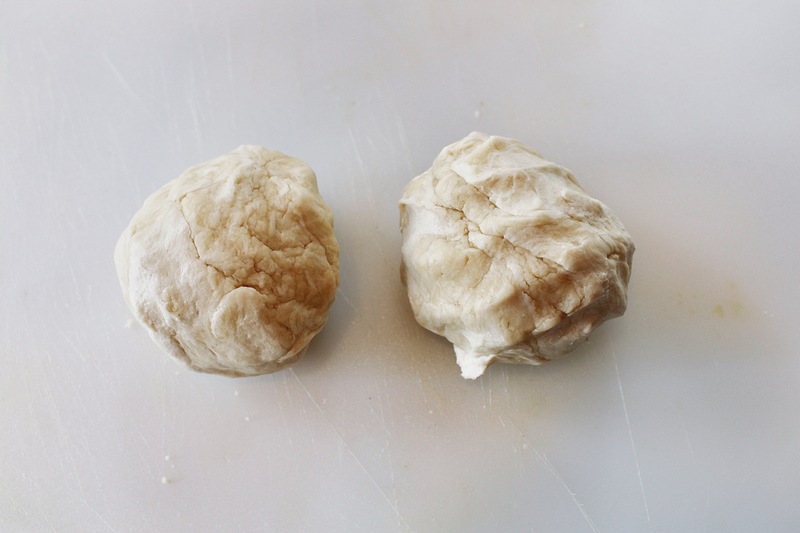 Form dough into a ball. 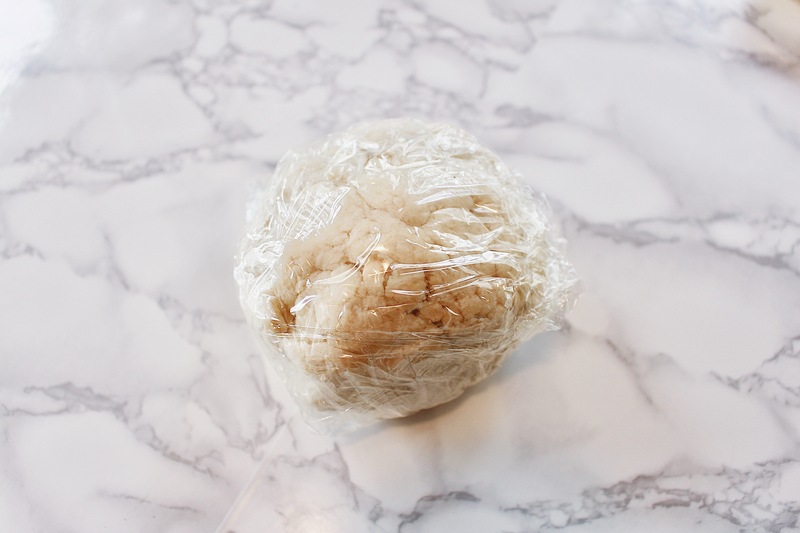 Then cover with plastic wrap and place in fridge for at least 15 minutes while you make the filling. 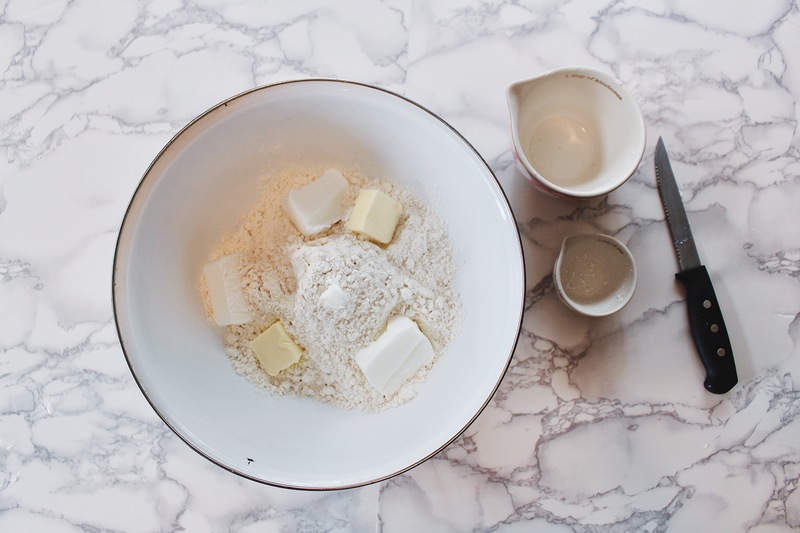 Wash your mixing bowl to use for filling. 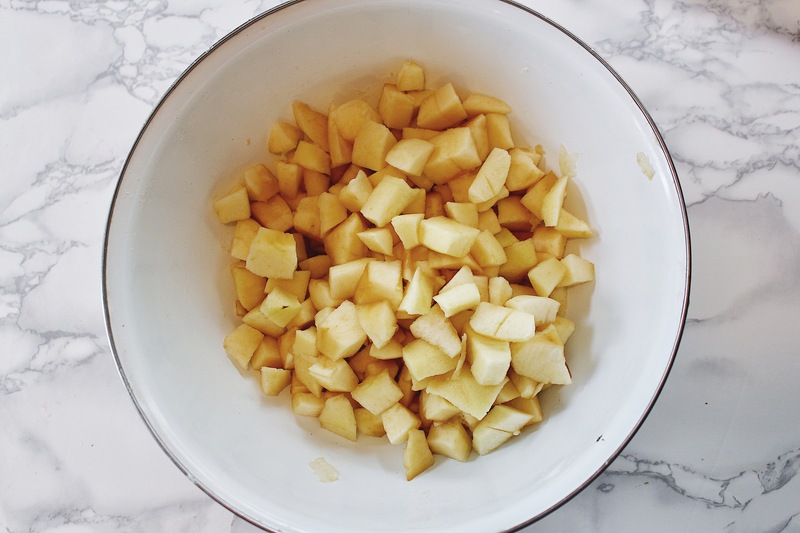 Using a peeler, peel your apples (6-8 medium sized apples) then slice them into little chunks and place them into your mixing bowl. 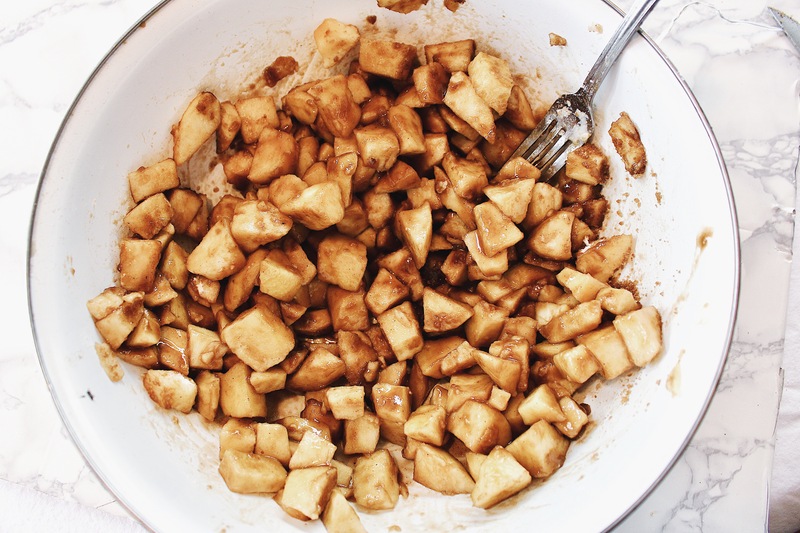 Add your 1 cup dark brown sugar, 2 tablespoons all-purpose flour, 1 teaspoon cinnamon, ⅛ teaspoon nutmeg, and ⅛ teaspoon salt to your apple slices. Mix evenly, then place in fridge for a few minutes while you assemble the crust. 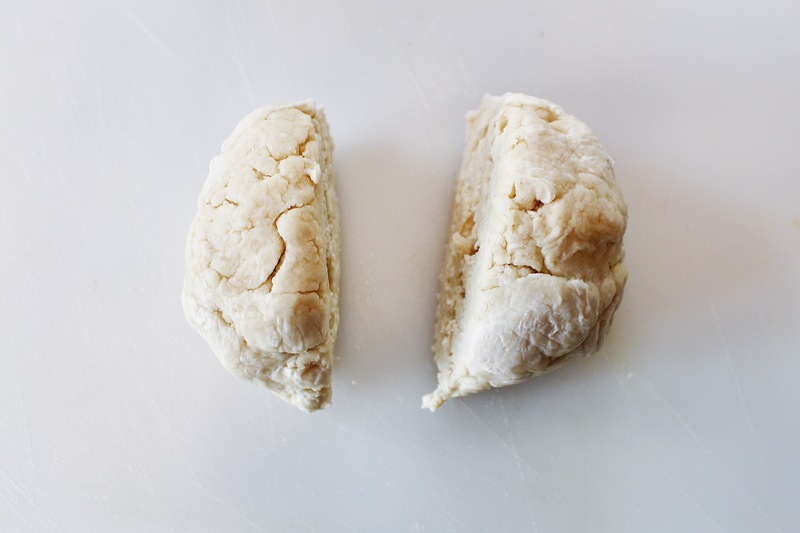 Take your dough out of the fridge and cut it in half. This will be your top and bottom crust. Roll the 2 pieces into balls, and put one aside. 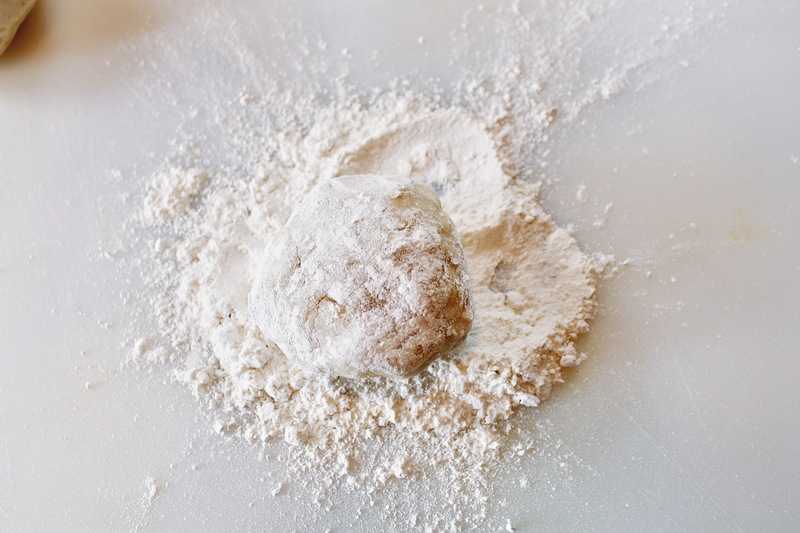 Coat one ball of dough with flour and flatten out with your rolling pin. Gently place your dough into the baking dish. 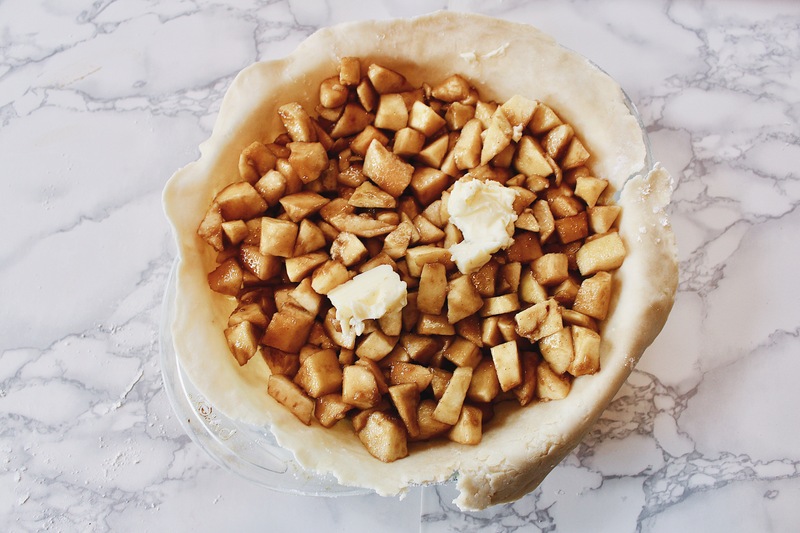 Take apple filling out of the fridge and place it in the pie along with 2 tablespoons of butter. Repeat step 3 for second ball of dough. Place second layer on top covering the apple filling. 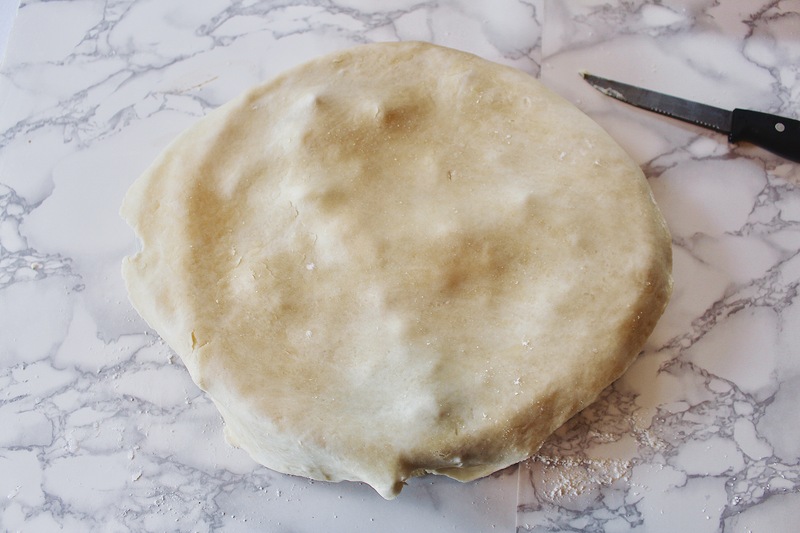 Take a knife and cut the edges of the dough then use a fork to crimp the edges. 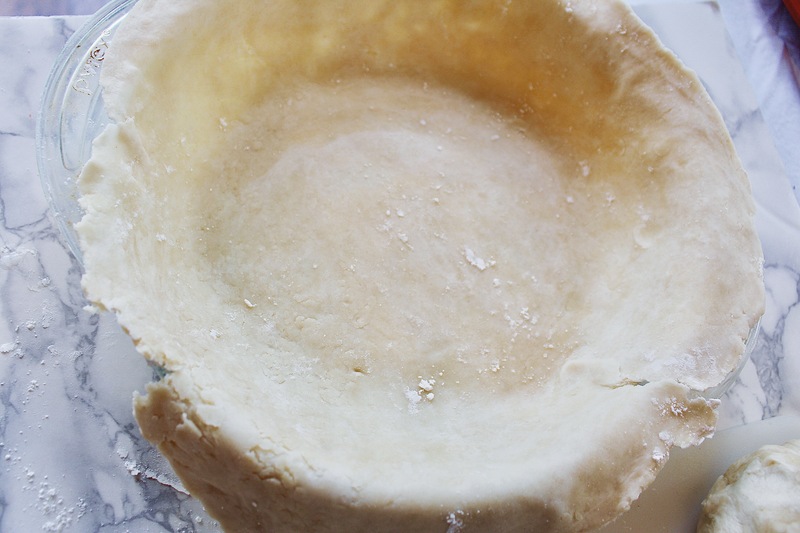 Using a knife, cut slits into the middle of the pie to release steam. Bake at 400° F for approximately 50 minutes. Let pie cool completely, before serving. As you can see this recipe is actually very simple and easy to follow! There’s nothing too crazy about it. This recipe is super delicious and not overly sweet. It’s the perfect apple pie! I hope you all enjoyed this post and I hope you all enjoy your apple pies! Looks so yummy! I’m definitely going to try this! It is! Thank you! & yay tell me how it is!